The process for identifying, assessing, and prioritizing risks of different kinds is known as Risk Management. When risk factors are being identified, the risk manager can make a plan to reduce, avoid or eliminate the impact of negative elements or events. There are several strategies available to manage risk, depending upon the type of business and the type of risk. There are different type of risks that a risk manager plans to mitigate. Common risks are like accidents in the workplace or fires, tornadoes, earthquakes, other natural disasters, fraud, theft, sexual harassment lawsuits. Risks can also relate to business practices, uncertainty in financial markets, failures in projects, credit risks, or the security and storage of data and records. The main goal behind applying risk management practices is to protect businesses from being vulnerable and keeping it viable and reducing financial risks. 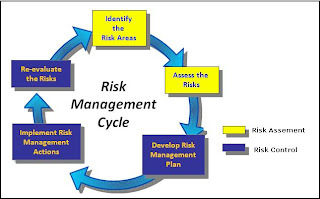 Risk management also focuses on protecting employees, customers, and general public from accidents and disasters. Risk management practices are also about preserving the physical facilities, data, records, and physical assets a company owns or uses. 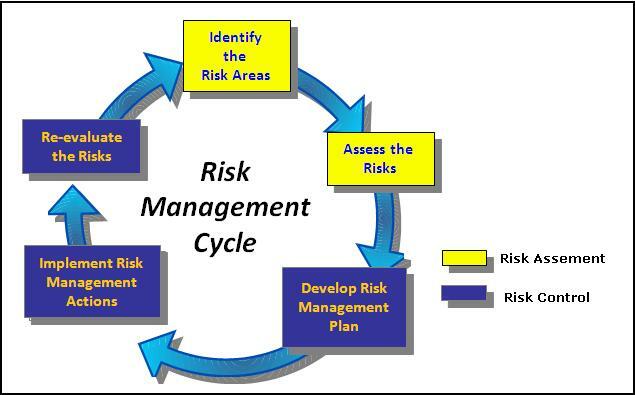 The process for identifying and managing risk consists of five basic steps. The first step is to identify the risk. The second step is to assess available information about the risk to analyze the level of vulnerability. The third step is to determine the expected consequences of specific threats. The fourth step is to identify ways to reduce those risks. The final step is to prioritize risk reduction measures based on a strategy. Folks! today you have an introduction to Risk Management. In my next post i am going to discuss some strategies to cope with risks. Keep visiting the Microcom IT blog and do not forget to give your valued feedback in comments. Thank you for such a useful article with explanation to risk management cycle. very few write about risk management but you did and you did very good. Hi Dear, are you truly visiting this site regularly, if so afterward you will without doubt get nice know-how. going to start my own blog in the near future but I'm having a hard time making a decision between BlogEngine/Wordpress/B2evolution and Drupal. The reason I ask is because your design and style seems different then most blogs and I'm looking for something unique. go to see this web page, іt consists of helpful Information. early in the dаylight, aѕ i likе to find out morе and more.